Cucuta, the hot sticky capital of Norte de Santander, rarely provides more than a stopover on the way to the Venezuela border. If you can stand the heat, though, you might be surprised at how developed parts of the city are, particularly the centre. There is probably just about enough in and around the city to keep you busy for a day before continuing on into Venezuela or into the interior of Colombia. The centre of the city is well organised and contains the usual array of shops, banks and restaurants. 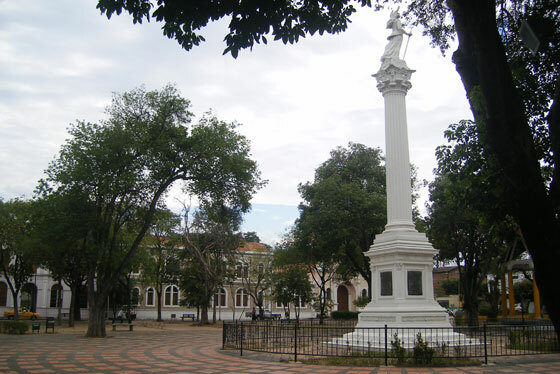 Parque Santander forms the central point of the city on the eastern side of which lies Catedral de San Jose. 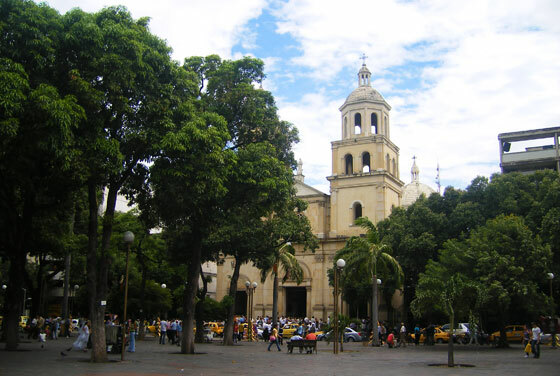 Two blocks south-east of Parque Santander is Parque Colon, a smaller plaza which backs onto a library and a chapel. The centre of the city is a relatively safe place to stroll around during the day. Many of the streets are lined with trees which provide some welcome shade from the sun. If you want to escape the city, however there are a couple of short trips you can do to places within an hour of Cucuta. Close to the Venezuelan border is the historically important town of Villa del Rosario. It was in Villa del Rosario that Simon Bolivar and the early Colombian congress agreed on the constitution of Gran Colombia (which was comprised of Colombia, Venezuela, Ecuador and Panama). This historical site has been converted into a park called the Parque de la Gran Colombia. Within the park the main sights of interest are the Templo del Congreso, the church where the congress carried out its first meetings, and the Casa de Santander where General Santander was born and spent the first 13 years of his life. About an hour from along the main road to Pamplona lies the small town of Chinacota. The town lies at an altitude of 1300m and so is quite a bit cooler which can make it a pleasant place to spend a few hours. A few hours west lies the hip student city of Pamplona. It's an attrractive city with a cool climate and a good way to break up the journey to Bucaramanga. If you're looking for a high quality hotel in Cucuta I'd definitely recommend Hotel Arizona Suites. The rooms are cosy, without being cramped and are fitted with excellent furnishings. The hotel also has an outdoor swimming pool as well as a small gym. Also of good quality is the Atlantis Plaza hotel which features a pool, restaurant and comfortable rooms. Most shops and banks are located in the city centre within a few blocks of Parque Santander. 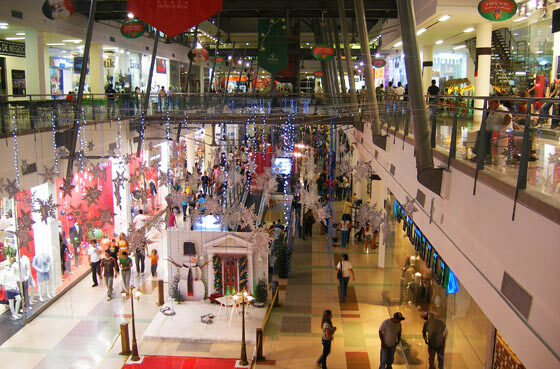 The city's biggest shopping mall is the impressive Ventura Plaza Centro Comercial, opened in 2007, that contains the usual array of national and internation chain stores as well as a large food court and cinema. 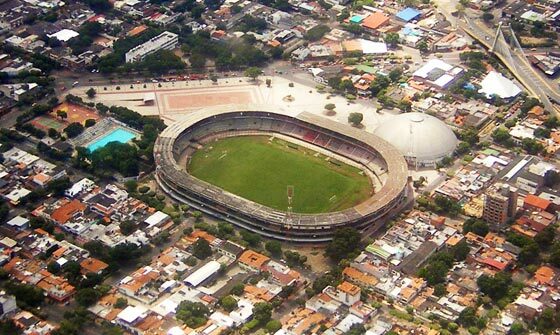 Cucuta Deportivo play at the General Santander Stadium near the centre of the city. After a long spell in Division B they were promoted back to the top flight in 2005. Remarkably, one year later they were crowned Division A champions under the guidance of manager Jorge Luis Pinto who would go on to spend an unsuccessful spell as the Colombian national team's coach the following year. As champions they qualified for the Copa Libertadores for the first time in their history. 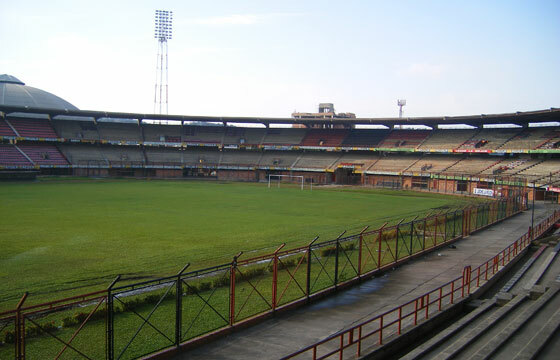 The team (by now managed by Jorge Luis Bernal) began their Libertadores campaign in a group comprised of fellow colombian club Tolima, Gremio of Brasil and Cerro Porteño of Paraguay. After qualifying from their group, they faced Mexican side Toluca. No Colombian team had ever eliminated a Mexican club from the competition, but a 5-3 aggregate score sent them into the quarter finals against Nacional of Uruguay. A 2-0 home victory followed by a 2-2 draw in Montevideo set up a mouth-watering semi-final tie against Argentinian giants Boca Juniors. In the first leg a tremendous performance gave the Colombians a 3-1 victory over Boca Juniors courtesy of a brace from Blas Perez and a Ruben Dario Bustos free kick. The return leg would be played on a cold evening in La Bombonera with thick fog covering the pitch. Visibility was so low that much of the game was televised from the pitchside. Goalkeeper Robinson Zapata had to dodge a barage of missiles being hurled by the Boca Juniors fans from the terrace behind his goal. 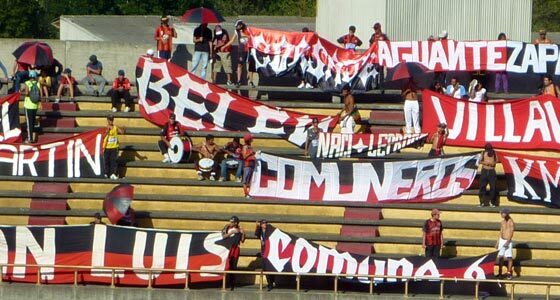 In the intense atmosphere Cucuta lost 3-0 and so narrowly missed out on a Libertadores final. Despite a disappointing exit it was a terrific run, especially considering that they were playing Division B football just two years previously. The Colombian side again classified for the Copa Libertadores of 2008, this time reaching the second round only to be comprehensively beaten 4-0 on aggregate by Brazilian club Santos. In 2013 they were relegated back to Division B following several disappointing seasons in the top flight. 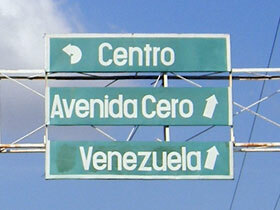 The border with Venezuela is close to Cucuta. It is slightly more organised than further north near the small border town of Maicao. Buses leave for the border from the city's main bus terminal. The journey is short (around 15 minutes). The buses run to San Antonio on the Venezuelan side. A bridge called Puente Bolivar connects the two sides of the border. Once you've joined the inevitable queue of vehicles, people tend to disembark and wander over to the Colombian immigration office to get an exit stamp. The bus should have caught up by the time you've finished so you can get on again for the few more minutes until you reach San Antonio. Once in San Antonio you get your Venezuelan entry stamp. Make sure you get this stamp otherwise you could have big problems trying to leave Venezuela! From there the best option is to go to the larger town of San Cristobal in order to get a bus to your destination within Venezuela. Many travellers head to the charming small city of Merida which takes around 6 hours.